Chelsea Dogs provide exclusive pet services for clients living and working in Kensington and Chelsea. Below is a list of services we provide including dog walking, doggy day care and pet taxis. *Please Note: All our walks, pet sitting and doggy day care is completely full at the moment. 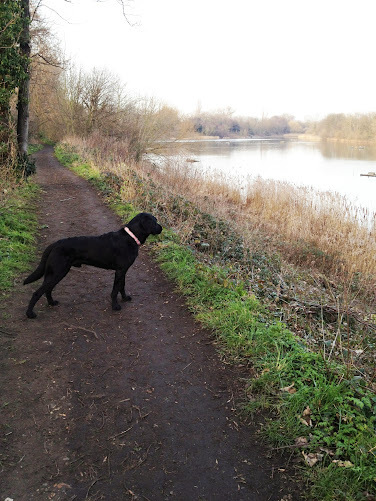 A 2 hour dog walk in either Richmond Park, Barnes Common or through the Nature Reserve along the River Thames. Sometimes the dogs attending doggy day care are taken to Hampstead Heath for a special treat. Please click here for more information about our dog walks. A minimum of 2 walks during the day plus loads of play time, socialising with other dogs in a safe and secure environment, treats or feeding, plenty of fresh water and loads of cuddles! Includes collection and drop-off. Prices start at £35 per day. Please click here for more information about our doggy day care service. Exactly as it sounds... we will collect and chauffeur your pet to any destination whether it be the vet, the groomers, the airport or just to deliver them to a friend's house. Dogs are secured safely in the car. Please note we do not travel around London with the dogs in a car with the convertible roof down! We will feed, play and sit with your pet in your own home whenever you cannot be there! Prices start at £10 per hour. We will collect your pet, take them to the vet, sit with them for how ever long it takes and then take them home and make sure they are comfortable until your return. We will of course provide you with full feedback from the vet visit. Prices start at £12 per hour. We will pop into your house, feed your cat, fish or other animal, give them fresh water if necessary and leave a light on if you wish. Prices start at £8 per visit. If your pet needs any medication during the day whilst in our care, we will be happy to administer it. We are also happy to administer medicine to any pet when we visit them for a feeding. Free of charge.